Eric Nicolai is from Corsica. His wife, Frederique, is from Paris. 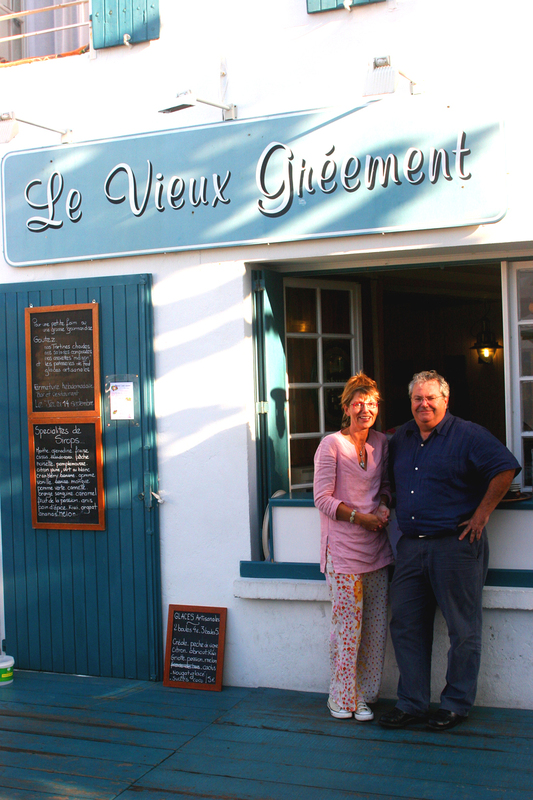 They own Le Vieux Gréement in La Couarde Sur Mer. Frederique runs the front desk and Eric runs the bar. A lovely arrangement, I think. Sometimes in the afternoon I’ll sit reading a book in the hotel’s courtyard garden, shaded by linden trees, and if Eric doesn’t have anything better to do, he’ll share a glass of wine with me. Yesterday we were sitting in the garden when Eric’s youngest son, who is 8, came up to show his father a drawing of England he’d done. He asked his father if the drawing was beautiful. Eric said no. “It is perfectly fine, but it is not beautiful. Beauty is something else all together,” he told him. “Like my mother?” asked the little boy.